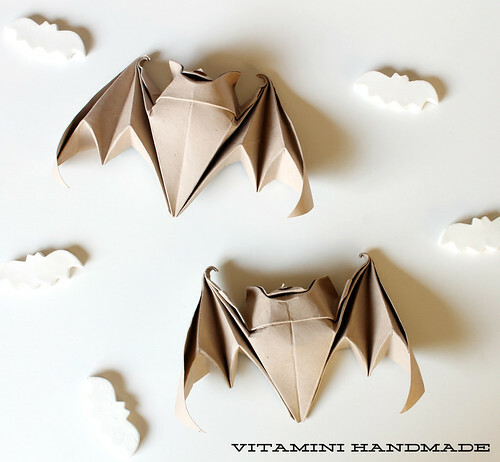 Just in time for Halloween, here are a few different origami bats to fold up! 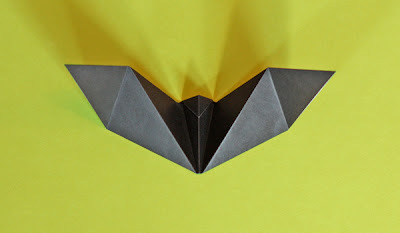 For advanced paper folders, here's a super cute little origami bat with a step-by-step instructional video! This bat is created with a wet folding technique that results in a nice sturdy finished piece (after the paper has dried, of course). I folded these bats 2 years ago and they still look great! 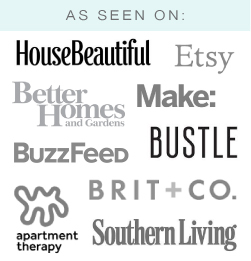 The instructions are a little tricky, so be prepared to press pause a few times while you catch up to the steps. 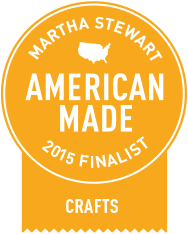 Find the video on the Peabody Essex Museum's Origami page. Just click "fold more models", "origami now! ", and "happy goodluck bat." 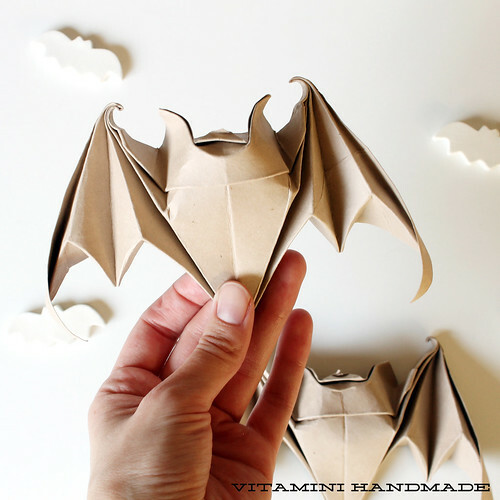 And for you beginner and intermediate origami artists out there, How About Orange gathered a few other Halloween bat tutorials for you to try your hand at. 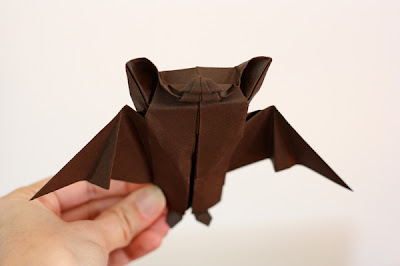 This intermediate technique makes a bat that kinda looks like the wet folded one. This beginner's bat would add a simple, graphic touch to your new bat collection. 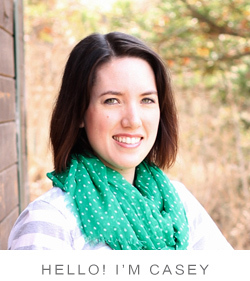 *First two photos by Casey | Vitamini Handmade. Second two photos by How About Orange. hy! 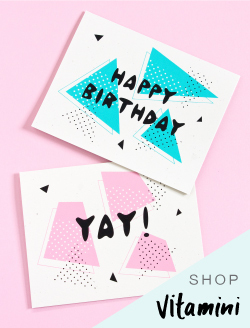 nice blog u have..and thanks for the origami bats.